Our third day in Vietnam was spent on a bus. 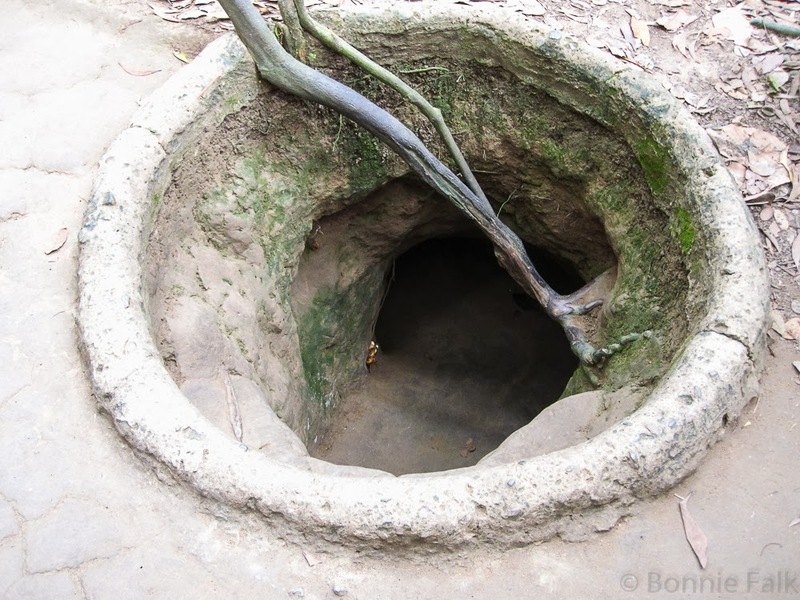 About three hours each way to visit the Cao Đài Holy See and Củ Chi Tunnels. 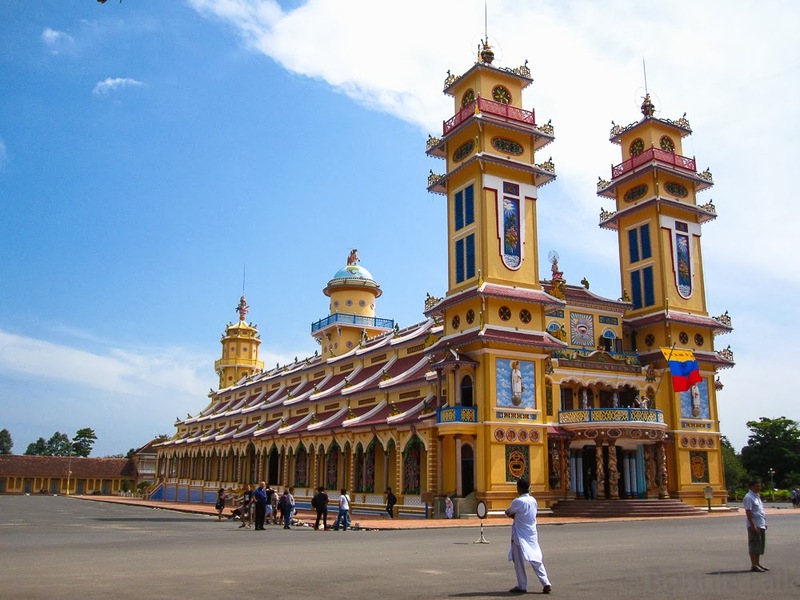 These are two fascinating pieces of Vietnamese history and culture. 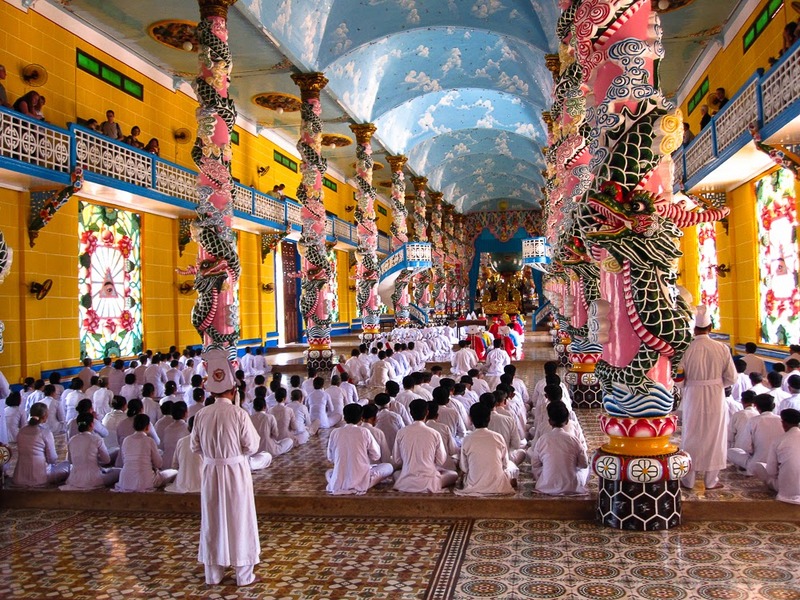 Cao Đài is an interesting mix of Taoism, Buddhism and Catholicism. It started in Vietnam and has followers around the world, but is still mostly Vietnamese. It would seem that most of the tour guides forgot to mention that you weren't allowed to walk in front of the temple during noon mass. Lots of confused tourists were constantly getting whistled at and shooed away. I was one of them. The Củ Chi tunnels tour was pretty intense. War is such a horrific thing and both sides committed heinous atrocities. I don't really want to get into that here. One of the many tunnel openings. 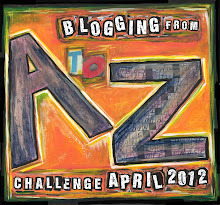 I think I need to Google about the tunnels, since I don't know what that is. Unless it was the Vietnam War specifically, in which case, I know enough for it to already make me sad.